Why self help books and self-help gurus are making you fail. Did you know you can get addicted to self help and self help Gurus.? Self help addiction is a thing. Watching too many self improvement channels on YouTube, or reading too many self-help books, is dangerous and can be a waste of time. If you are not careful you could turn into a self-help junkie. 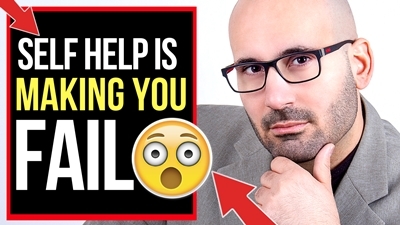 In this video we are going to talk about the dark side of self improvement, self help gurus, and the truth about the self help industry. 🔴 WHO IS THIS PAUL GUY ANYWAY ? I’m an entrepreneur, sales expert and author, as well as a cancer survivor. My channel focuses on how to help you succeed in life and business and how to sell more and become a master closer. ✅ Visit my website and learn more about me at https://pauldemocritou.com Some of these links here may go to one of my websites and some may sometimes be affiliate links where I’ll earn a small commission if you make a purchase at no additional cost to you.